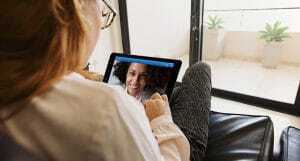 For all the hype about telehealth in recent years, it still constitutes less than 1% of ambulatory visits in the United States, notes Jeffrey Kosowsky, MD, PhD, Senior Vice President of Corporate Development and Business Development at American Well. 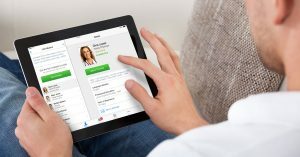 But with changes in regulation, new technologies, and increasing consumer and provider acceptance, telehealth is poised to expand. Its real promise is in returning healthcare to the home, which in turn can lower overall costs of care dramatically. Catalyst Editorial Director Edward Prewitt talked with Kosowsky to discuss keys to success, how to scale, and how entrants in healthcare can thrive. Edward Prewitt: What drivers in the healthcare marketplace are creating needs and opportunities for new players? Jeffrey Kosowsky: There are five general drivers in the broader marketplace…and all affect telehealth. The first is the looming non-viability of the payment model. … For telehealth, the first adopters were payers, then employers, because telehealth visits head-to-head are cheaper. The second driver is new technologies enabling new workflows. 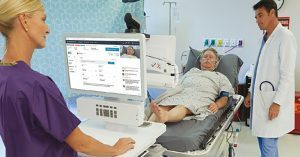 … You could say that telehealth existed as far back as Morse code, but it didn’t enter into viability until real-time video…and mobile broadband.